August 6, 2012 – Kingston Mayor Shayne Gallo hosted U.S. Representative Chris Gibson Monday on a tour of the City of Kingston, highlighting the Cityâ€™s businesses and revitalization efforts. The group, including staff and development personnel from both administrations visited Armor Dynamics, touring the facility and getting an overview of the companyâ€™s life-saving technology. Both Mayor Gallo and Rep. Gibson have shown great support for Armor Dynamics efforts ranging from armoring local and state law enforcement agencies, to providing vehicle-armor solutions to the Army. Gibson, of Kinderhook, is a retired Army Colonel who was deployed seven times, including four combat tours in Iraq. Prior to his retirement, Gibson commanded the 82nd Airborne Divisionâ€™s 2nd Brigade Combat Team (BCT) during the opening month of the humanitarian relief operations in Haiti. The Secretary of the Army awarded the BCT the Superior Unit Award for their actions in Haiti. The focus of Mondayâ€™s tour was Law Enforcement Vehicle Armor. Mayor Gallo expressed his continued support of Project Armor: Kingston, the Kingston PBAâ€™s effort to outfit the Kingston Police Department fleet with Armor Dynamics Law Enforcement Vehicle Armor through the help of the local business community. Gibson and Gallo witnessed a first-hand ballistic demonstration of Armor Dynamicsâ€™ protection technology, including Law Enforcement Vehicle Armor, the Ballistic Visor and Ballistic Inserts. To date, Project Armor has raised funding for more than half of the departmentâ€™s vehicles. Armor Dynamics recently attended the U.S. Naval War College in Newport, Rhode Island for the 63rd annual Current Strategy Forum. CEO Dave Warren and VP of Business Development Michael Collins received an invitation to this prestigious conference from the Secretary of the Navy. Mr. Collins, a former Naval officer, attended classified strategy briefings and a private lunch with the President of the Naval War College. 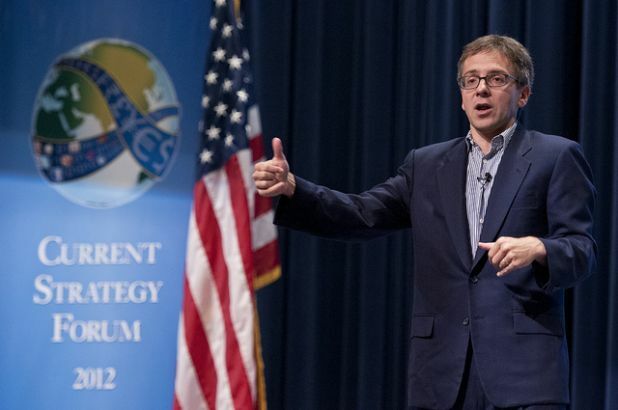 Political scientist Ian Brenner gives a lecture of the 63rd Annual Current Strategy Forum. Conducted during the week of June 11, this yearâ€™s CSF headline topic was â€œGlobal Trends: Implications for National Policy and Maritime Forces.â€ The Forum explored the international strategic environment of the U.S. drawdown from extended wars, as well as the strategic implications of high-tech weaponry in contested commons. Established in 1884, the U.S. Naval War College is the oldest institution of its kind in the world. More than 50,000 students have graduated since its first class of 9 students in 1885 and about 300 of todayâ€™s active-duty admirals and generals and senior executive service leaders are alumni. Armor Dynamics is pleased to announce that Michael Collins, formerly a member of the Advisory Board, has joined the team in a full-time capacity as Executive Vice President of Business Development. Mr. Collins brings a wealth of experience and knowledge with him and is a welcome addition to the management structure. Mr. Collins is New York Cityâ€™s former Police Director and Chief for the Department of Environmental Protection and is the past Chairman and President of the Officers Association for New Yorkâ€™s National Guard and State Drilling Forces. He aims to help the company increase its presence in the military and homeland defense sector, as well as providing inroads to national and international markets. Mr. Collins has served as a Special Assistant to the Mayor of the City of New York and as Director of Security Planning for the NYC Water Supply System. He has been a member of the Police Executive Research Forum, Director of Fire & Life Safety at Goldman Sachs and Senior Vice President for Sales at American Defense Systems, Inc. He currently serves on the Executive Board of the New York Police Chiefâ€™s Benevolent Association. He is a commissioned naval officer who served as Commander of Navy and Marine Corps personnel at Ground Zero. He as attended the Army War College NSS program and is a graduate of the New York City Police Academy and Fire Academy. He holds a Bachelorâ€™s Degree from New York Institute of Technology and has attended the University of Chicago Booth School of Business. Armor Dynamics designs and develops innovative armor products that are lighter, stronger and less expensive than competitive armor systems. Armor Dynamics armor systems provide superior levels of protection by using proprietary technologies, advanced composite and custom-configured ceramic materials. Our advanced armor systems can be easily modified to meet evolving threats and can be adapted to specific combat and threat conditions in the field. With a focus and expertise in manufacturing techniques and processes, coupled with innovative applications, Armor Dynamics produces high-function, high-quality armor systems. By utilizing its proprietary innovations and its long-standing relationships, Armor Dynamics is able to produce its systems at a significantly higher volume and a lower cost to consumers. Kingston-based company teams with local businesses to provide state-of-the-art vehicle armor protection. KINGSTON – Armor Dynamics is teaming up with the local business community in an effort to armor the Kingston Police Department fleet of 16 vehicles and protect the men and women who protect us each day. The program, titled Project Armor: Kingston, has been endorsed by new Kingston Police Chief Egidio Tinti and incoming Mayor Shane Gallo, as well as the Ulster County Regional Chamber of Commerce. Armor Dynamics lightweight vehicle armor system provides ballistic door protection, while two Ballistic Sun Visors add front and side window protection. All tax-deductible donations to Project Armor will be deposited with the Kingston Police Benevolent Association. Each donor to the program will receive a Project Armor storefront insignia and matching vehicle stickers to signify their support for and involvement in the program. Additionally, for every nine vehicles armored with funds from the community, Armor Dynamics will provide vehicle armor for the tenth vehicle at no cost. Armor Dynamics will also incur all labor costs for vehicle installation. With a tough economic climate showing no signs of abatement, and rising crime rates, Armor Dynamics and the Kingston PBA will seek the help of local and national businesses and private donors. The cost-effective solution used will allow the company to armor the entire fleet for a little over $35,000. Armor Dynamics Inc. is pleased to announce the appointment of Malachy Meechan as President, effective November 10, 2011. Mr. Meechan will be taking a broad focus on all of Armorâ€™s business groups, focusing on translating Research and Development initiatives into new business opportunities, investigating potential strategic partnerships and expanding Armor Dynamics footprint in the armor marketplace. Company Founder David Warren, President and C.E.O., will be maintaining his role as C.E.O. and as the head of the Research and Development team. This shift in the Armor management team will improve the company’s potential for growth and allow the company to reallocate and further leverage its engineering resources. Mr. Meechan was most recently Vice President of Marketing for Armor Dynamics, joining in February of 2011. He brings with him over 16 years of experience in business management and development, most recently at Goldman Sachs where he worked in the Global Economic Research Department developing and marketing qualitative and quantitative research products for institutional investors and governments. Mr. Meechan was instrumental in developing and establishing the global brand for Economic Research. Prior to joining Goldman Sachs in 1999, Malachy spent 5 years with Citibankâ€™s Worldwide Security Services and Cash Management Divisions where he helped develop and institute Citibankâ€™s securities service standards in developing and emerging markets. Armor Dynamics law enforcement armor was on full display to over 7,500 members of the law enforcement community recently at the International Association of Chiefs of Police trade show in Chicago, Ill.
Alongside nearly 800 vendors, Armor Dynamics VP of Sales Jim Chandler hosted a display booth featuring Armor Dynamics lightweight vehicle and body armor solutions. Also on display was Armor Dynamics line of industry-first protection systems, including a Ballistic Sun Visor for vehicles, multiple threat-level vehicle door armor, and concealable armor panels for notebooks, clipboards, backpacks and bags. Armor Dynamics core technology centers around seven years of research and development in ballistic solutions, working primarily with and for the government on military applications. More recently, Armor Dynamics has focused on applying these advanced technologies and the relationships it has made with materials developers to bring law enforcement ballistic solutions into the cutting edge of the industry. For additional product and company information, please visit ArmorDynamics.com, find us on Facebook, or call 845-306-2503. Armor Dynamics put its ballistic armor solutions to the test again at a recent training day for the Norwich Police Department. As part of its quarterly ballistic safety training, members of the Norwich Police took aim at Armor Dynamics Ballistic Visors and Inserts for back packs, book bags, and notebooks. Members of the department weâ€™re impressed with Armor Dynamics Multi-Purpose Shield, which absorbed 200 handgun and shotgun rounds without penetration. Additionally, Armor Dynamics displayed its multiple levels of Law Enforcement Vehicle Armor, and its numerous models of body armor. Armor Dynamics draws on over a decade of experience designing armor solutions for the U.S. Army to create lightweight and cost-effective ballistic solutions for the police community. In addition to a recent display at the Las Vegas Enforcement Expo, Armor Dynamics will be hosting a display booth at the New York State Law Enforcement Expo on September 28 in White Plains. The company will also host a booth at the International Association of Chiefs of Police Annual Expo in Chicago from October 22-26. Armor Dynamics hosted a display of its innovative protection products this week at the 25th annual Atlantic City Police Security Expo. Alongside approximately 750 exhibitors and with 7,000 members of the law enforcement industry in attendance, Armor Dynamics displayed its vehicle armor, body armor, and concealable protection solutions. With nearly a decade spent researching and developing ballistic solutions for the government and military applications, Armor Dynamics draws upon a wealth of experience to create cost-effective and lightweight armor products for the police community. The companyâ€™s law enforcement products include multiple threat-level vehicle door armor, a Ballistic Sun Visor for vehicles, and concealable armor panels for notebooks, clipboards, backpacks and bags. Fort Dix, NJ – Armor Dynamics was invited to attend the Fort Dix field trip day of a two week long (80 hour) Firearms Instructor Training course held by the FBI in West Point. The event, held on Thursday, May 12, 2010, afforded the opportunity for vendors to present their products to instructors and students. Presenting with some of the most prestigious firearms vendors in the country, Armor Dynamics was the only participating armor supplier. The course is designed to train participants from each department as highly qualified professional firearms instructors. Each graduating instructor should be able to handle all of their department’s firearm qualifications including night/low light training, combat training, and shotgun training. Upon successful completion of this course, the student instructor will receive certification from the Federal Bureau of Investigation. Among the agencies attending were The Federal Bureau of Investigation, The U.S. Parks Service SWAT, U.S. Air Marshalls Service, and numerous municipal law enforcement agencies, including the cities of Poughkeepsie and Kingston. Armor Dynamics supplied the closing shoot with a backpack insert, a sun visor, a multi-purpose shield, and a level 3+ Vehicle Door panel for demonstration. The reception of our products was enthusiastic from both the agencies and the weapons vendors. The company will be hosting a display booth at the Police Security Expo in Atlantic City, N.J. on June 21-22; and the New York State Association of Police Chiefs Law Enforcement Expo in Albany, NY on May 26. Armor Dynamics is pleased to offer its line of civilian protection products for purchase on its website. With people beyond the law enforcement and military community seeking security solutions, Armor Dynamics lightweight and cost-effective concealable armor systems are ideal for professionals, travelers, journalists and students. Product offerings include bulletproof backpacks, notebooks, clipboards, and mousepadsâ€”concealable protection systems that reinforce the growing need for assurance in this changing world. Our goal is to utilize nearly a decade of expertise gained in military and law enforcement research and development to provide you with the most advanced lightweight ballistic solutions. At Armor Dynamics, we offer discreet, unyielding security for mind and body.